Cheapest this has ever been apparently. 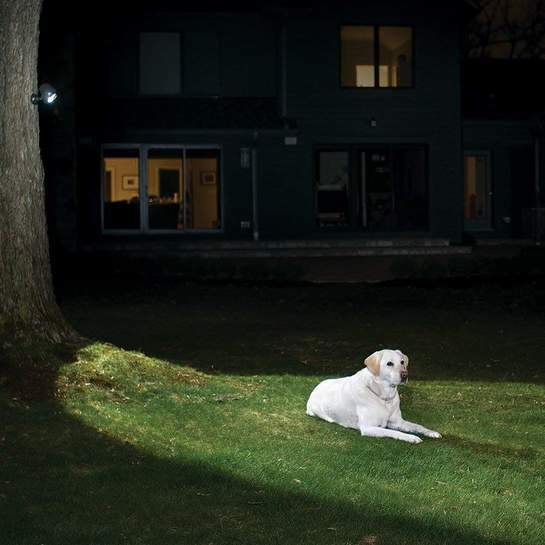 Attach a spotlight anywhere: to your house, shed, garage, or even a tree. Its tight seals and weather-resistant materials allow the spotlight to work in all weather conditions. 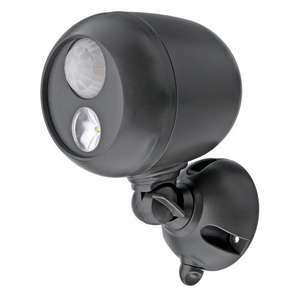 The Mr Beams Spotlight offers simple instalation with no wiring and no electrician needed. The spotlight instantly turns on when it detects motion, and can detect motion from as far as 9 M away with 180 degrees of vision. It automatically turns off after 30 seconds of no motion to conserve battery life. The bright LED and housing design focus 140 lumens of light wherever you need it and never needs replacing. The LED is so efficient that you will get more than 1,800 activations on one set of batteries. To test the Spotlight before installation or at any time, it's recommended to put fresh batteries in and take it into a dark room. Leave the room to avoid your motion retriggering it. The light should shut off after a minute or two (the motion sensor may need time to settle immediately after putting the batteries in). When you walk into the room, the motion sensor should trigger turning the light on. Because the Mr Beams Spotlight is wireless, battery-powered and has an IP45 weatherproof rating, it can be installed almost anywhere without an electrician. Use the Spotlight as a security light by mounting it by doorways and around the outside of the home. Or use it for additional lighting in garages, basements, gardens, warehouses, storage units and patios. Mr Beams was created when our founders were trying to find a simple way to wirelessly light a wardrobes. When they couldn’t find a solution on the market, they made their own. Since then, Mr Beams has grown into an innovative product line that offers affordable and convenient wireless LED lighting solutions, including spotlights, path lights, night lights and power outage lights. 140 lumens is pretty useless for anything other than a booklight. Had three of these now and all have failed. Thats me out . Cheers ,was just about to order for shed. Why would you be reading a book under a wireless spotlight on your the roof of your garage or 14 ft fence in the first place! 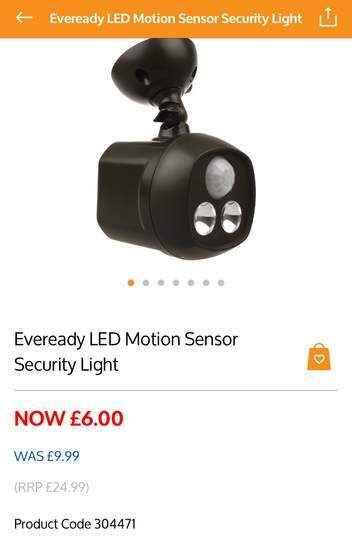 These are fab value for money and are great for caravan use, camping and keeping an eye out, at the bottom of your garden if you currently live in Cobham!!! Have got 2 in my carport. Plenty bright enough to light 2 parking spaces. Batteries last 6months. Detect movement about 4 meters away. I payed 23£ for 2 on ebay..Good price. Won't let me add it to my basket. Shows that it is in stock - at £10.24 - but won't let me buy it- ARGH! Won't let me add it to my basket. Shows that it is in stock - at £10.24 - …Won't let me add it to my basket. Shows that it is in stock - at £10.24 - but won't let me buy it- ARGH! Had one for a couple of years, batteries last ages and would get another if I had the need for one - especially at this price! Excellent VFM! Got the brighter one on our front door it goes off at the bottom of our path every night a few times been up there now fir three years on the same Duracell Ultra batteries. This one in our garage use it Instead of the garage light on daily two years plus again with the same battery. Added another at the side of our house still going strong after a year. Unless something has changed in their manufacturing could have been a bad batch. I bought a twin lamp one branded up as Eveready from B&M for a bit more. Has lasted ages on the same batteries, lights up the drive enough so I can shift the bins back and forth. Back in stock at £10.40..
81% 4 and 5 star reviews, 5% 3 stars which a quick look doesn’t show many failure issues, most companies will be happy with that. Thanks @blindsmansden! I managed to pick up 2 of these today from my local B&M. £6 each - bargain!